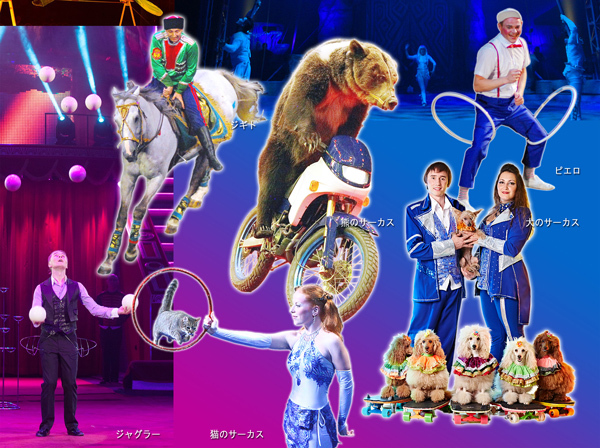 Russia's world-famous Bolshoi Circus is back for another summer tour this year, playing in six locations. The circus features aerial acrobats, flying trapeze artists, illusions, bear shows, juggling, clowns and lots of other acts. Tickets range from 3,700 yen to 5,700 yen. The use of animals in this circus is absolutely disgraceful, not to mention, abnormal and humiliating. No doubt there'll be many willing to watch this. JHC, really? Live animals, bears riding bikes? Dear me. So 20th Century. Unfortunately, it will be ‘kawaii’. Wild animals are not toys. Ugh! Disusting. I hate these things. Abusing animals for our entertainment. Absolutely not! The only reason I would go is to join any protest against the use of animals for entertainment. The training is cruel, the treatment only makes for stressed, broken animals, and it needs to stop. 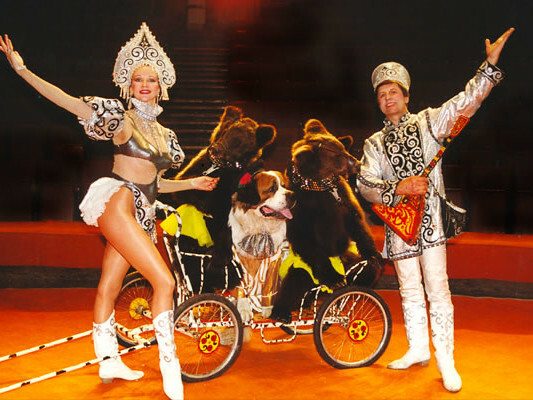 The horses and dogs maybe as long as they are trained, treated, and kept in comfortable and humane situations, but there really isn't a humane way to train a bear to do something like ride a bike and other difficult tasks all while remaining obedient. Circus bears tend to end up in crappy situations the same way circus elephants do.